‘Being industrious is one, cheerful is two, coy three and sometimes a pretty face’, as Anne characterised Auguste van Pels in her diary. Auguste van Pels was 41 years old when she first set foot in the Secret Annex, together with her husband Hermann and son Peter. Who was Auguste van Pels? Auguste Röttgen married Hermann van Pels in 1925. Through her marriage, she acquired Dutch nationality. The couple settled in the German city of Osnabrück, where Hermann's family lived. 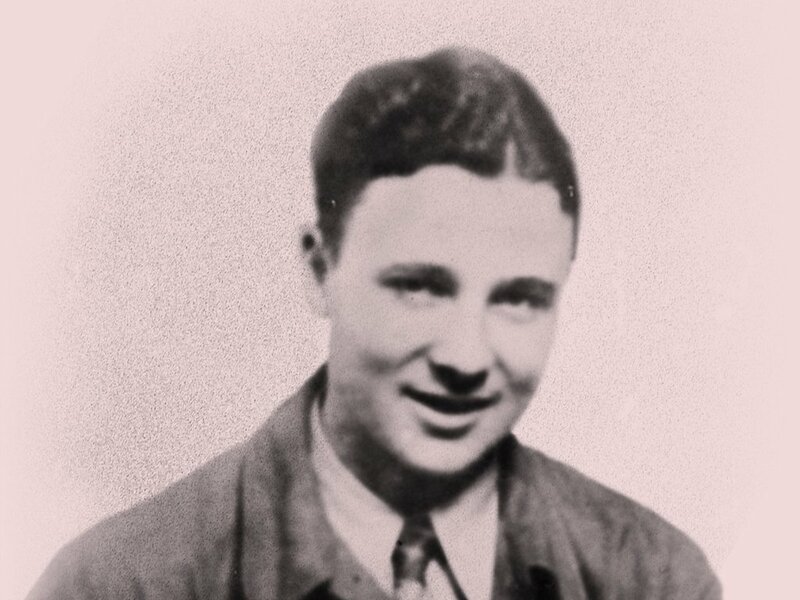 In November 1926, Peter was born their first and only child. Auguste and Hermann were deeply concerned about the rise of antisemitism. They no longer saw a future in Nazi Germany and in 1937 decided to move to the Netherlands. In Amsterdam, they found a house in the same neighbourhood as the Franks. It is unclear how the two families met. However, we do know that Hermann joined Otto Frank’s company as a herbalist. Auguste ran the household. She also took care of their boarders they had taken in to earn some extra money. 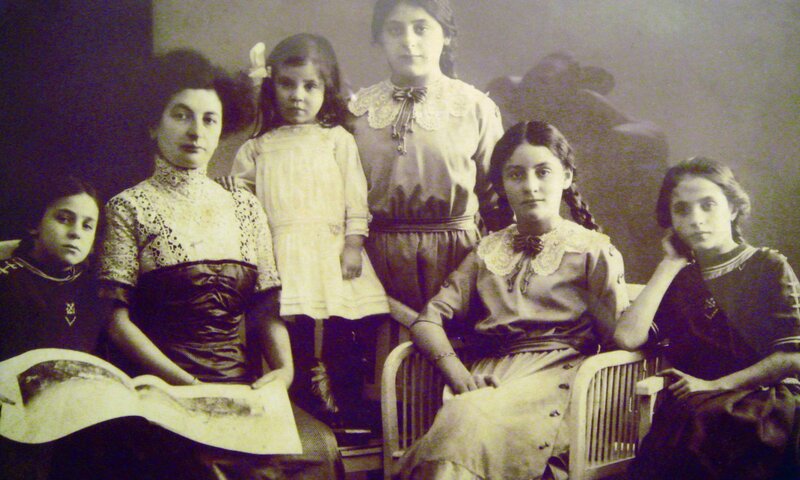 Auguste van Pels with her mother and four sisters; Auguste is probably sitting at the far right. Anne considered Auguste the ‘busy housewife’ of the Secret Annex. She usually cooked and tried her best to prepare tasty meals - no easy feat in times of scarcity. Anne wrote that Auguste was tired of 'the job of kitchen princess'﻿ , but that she stuck with it, just to have something to do. In addition, she learned English and Dutch and liked to read biographies and novels. Anne's diary gives the impression that Auguste and her husband Hermann frequently quarreled, but were always quick to reconcile. One of these rows occurred when Hermann forced Auguste to sell her fur coat to finance the hiding. Anne: ‘That shrieking, screaming, stamping of feet and scolding was something you can’t imagine. It was frightening. My family stood breathless at the bottom of the stairs, ready to rush up and pull the combatants apart if necessary.’ Soon after, according to Anne, the ‘reconciliation period of “Oh darling Putti” and “my cute Kerli” set in.’﻿ Auguste and Hermann had nicknames for each other: she called him 'Putti', he called her 'Kerli’. 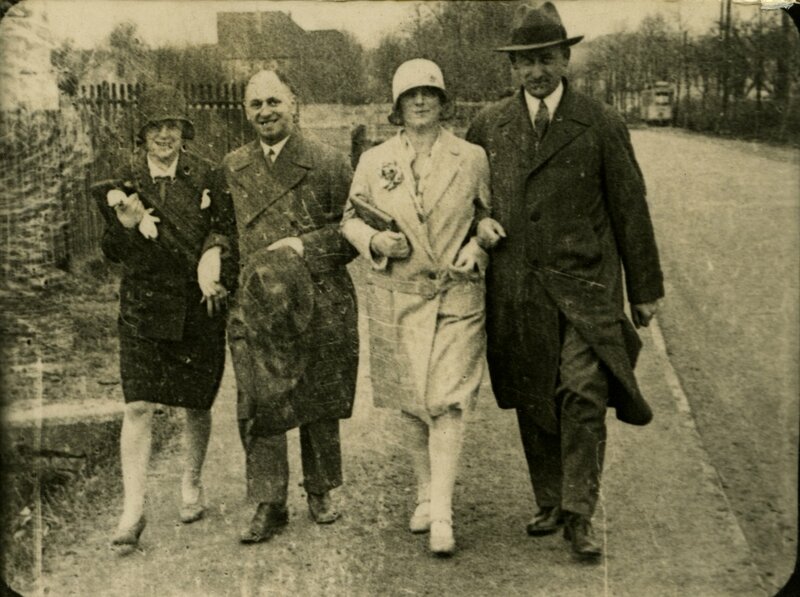 Hermann and Auguste van Pels (far right and far left) with another couple in Osnabrück (Germany), around 1930. On 4 August 1944, the period in hiding ended when they were all arrested. 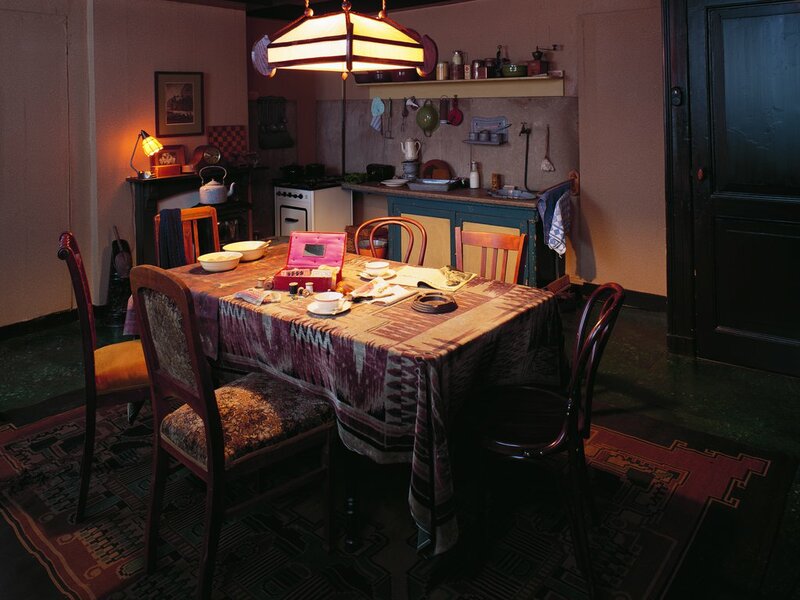 After prison, Auguste and the others were transferred to the Westerbork transit camp. There are no testimonies about her imprisonment there. However, Auguste’s name is on the transport list of 3 September 1944. Together with Hermann and Peter, she spent three days in a cramped cattle car. On the Auschwitz-Birkenau platform, she had to say goodbye to her husband and son. We do not know whether she was aware of their fate. In the concentration camp, Auguste was supported by Edith, Margot, and Anne. In the night of 1 November, Auguste was transported from Auschwitz-Birkenau to the Bergen-Belsen concentration camp, together with Anne and Margot. As Bergen-Belsen was overcrowded, the camp command had erected tents. When these were blown down during a fierce storm, the women ended up in an overcrowded barracks with several hundred others. In February 1945, the month in which Margot and Anne died, Auguste van Pels was put on another transport. She ended up in Raguhn, a satellite camp of the Buchenwald concentration camp. 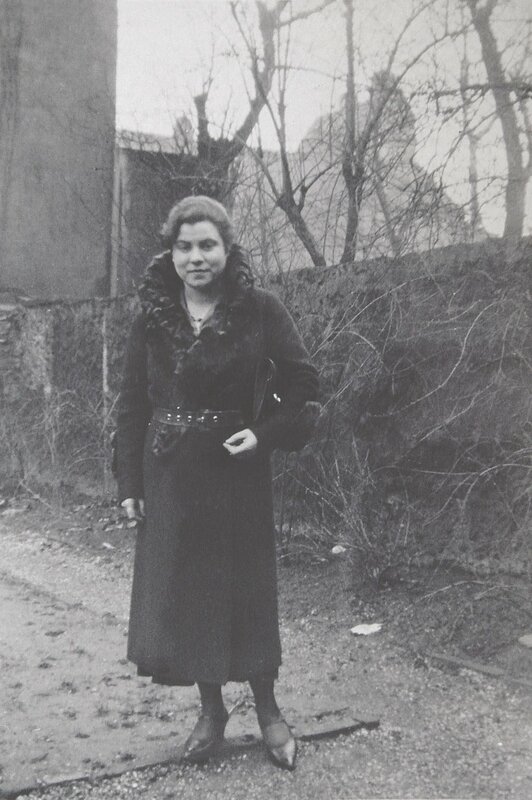 A few weeks later she had to leave again: Auguste was put on a transport to Theresienstadt. We do not know exactly how Auguste died. Two witnesses stated that she died during the transport from Raguhn to Theresienstadt. One of them was Annelore Beem-Daniel, who had met Auguste van Pels in the barracks in Bergen-Belsen. After the war, she said that Auguste - just like Anne and Margot - had contracted typhus and had died right next to her during the transport. Together with someone else, she had lifted Auguste off the train and placed her by the side of the tracks. The testimony given by Rachel van Amerongen, the other witness, is even more gruesome. 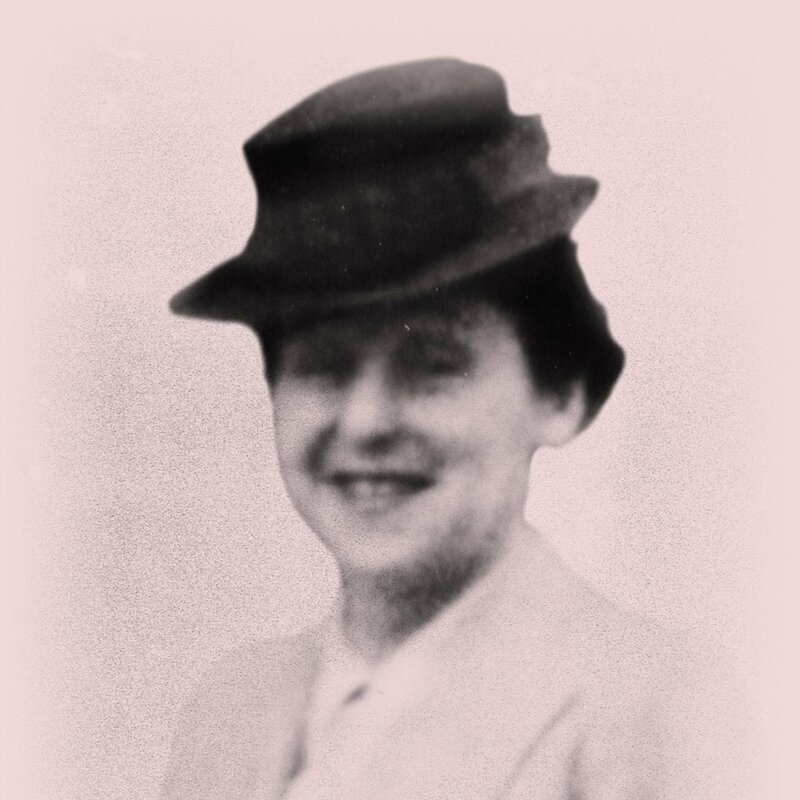 On 28 September 1945, she said in her statement to the Red Cross: ‘During the journey from Raguhn to Theresienstadt, the Germans threw under the train and killed: Mrs Gusti van Pels-Röttgen, circa 42 years old’. No other witnesses were found to corroborate this version of events. Netherlands State Institute for War Documentation [NIOD], The Diary of Anne Frank: the critical edition (New York, NY: Doubleday, 1989), B-version, 14 August 1942. NIOD, The Diary of Anne Frank, B-version, 14 March 1944. NIOD, The Diary of Anne Frank, B-version, 29 October 1943.